My World: Death: Where Lie Thy Fangs? 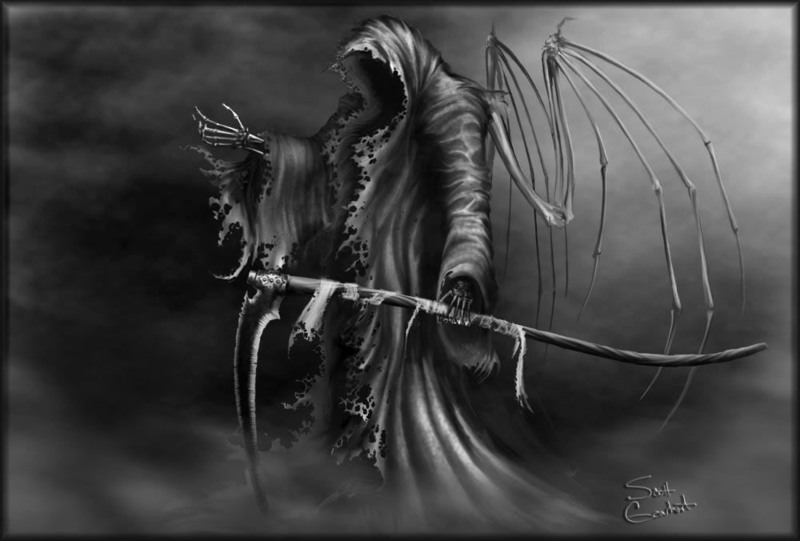 Death: Where Lie Thy Fangs? Death is something that has always made my mind wonder. It is something you can’t experience and tell somebody about it. No one who has been through death has been back to tell how it is. You can experience every damn thing in this world, but not death. That is why it has always magnetized me. Death, I learned in my school is the biggest leveler. It brings the king and the slave on the same level. Nobody has been able to escape the phenomenon but when I turn to the Bible, a ray of hope shines. The Savior, The Good Shepherd, He fought for us, sacrificed himself, paid the price for our sins and won over the power of death. Death was been a very prominent part of my upbringing. Since I remember things, the very early memories have stains of death on them. The closest person to me, my grandpa, Pappa as we all used to call him, my friend, my guide, my comfort; he passed away when I was just 12. The first taste of death. The first time is always the hardest. I still feel overwhelmed about it. Just before the sadness could end, another blow came with my uncle off to the journey to heaven. He went abode at young age, I overheard a few people talking that he was food poisoned as he just took the position of the Arch Bishop of the Marathwada region. That had enraged a lot of people as he was about to put up a stop to their under-the-table income. He was one close person in my family whom I could open up to. Each of these events came up with a lot of maturity. 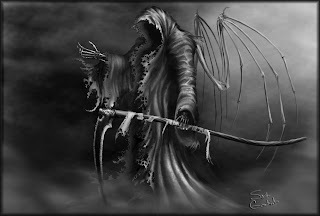 Death I feel is quite a few times necessary for the person. You might think suicide? No, I strongly oppose it. A suffering person, from an ailment, a disability, some disease, gets relieved from the pain he/she has been enduring since long. The depth of pain is only known to the one who is suffering from it. How small it may be! We as human try to mask our pain, but what happens inside the body, the severity, only the sufferer knows. Death at such times is an end to the suffering. Another close person, my cousin sister, this is her story. As a child she had been diagnosed with chronic heart disease. This meant that she had frequent stays at the hospital plus periodic illness. She was one major part of my teenage life. The person who was there when nobody else was, Preity; a pretty young girl. Once she fell ill for like three months, and later she was relieved of the pain at a tender age of 18years. I had become a little hard by then. Then a couple years back, my dear grandma, I wasn’t quite close to her, but she was a responsibility. One put on me by my grandpa, the last words of him which I remember were, “Take care of Shanti (my grandma).” After having a fractured leg, and a month long of bedridden state, my ever enthusiastic grandma fell victim to a number of diseases. Trying hard to keep her alive, the whole family helped out each other in her last 20 days at the ICCU. That was one event which got the entire family in one place and making them act as One Family. After all that pain and suffering, the always peeking around and never silent ShantaBai gave in. My mum and uncle watched the pulse go numb on the screen at 5am in the morning. Everybody gave their best, but she was set free from the pain she’d been going through. Life is funny, and death is the punch line. I write about this today as I got back from a house which was a victim of this hard dart a couple days back. Also, my uncle, a well known name in the Marathi literature world, Prof. Waman Nimbalkar passed away last year, and tomorrow he has his birthday. Ironic. This man died the death of a legend. One I wish to have, if I ever do! An intellectual, a poet by heart and a writer by profession, he never left people without draining them in his thoughts which always were hard hitting. Thoughts which made people wonder, and think. He was a fighter all his life, and survived a near-death vein transplant operation with the best results. Continuing the work for the down trodden for over 7 years after he had been advised by the doctors to stop his ventures directing to the major operation he had been through, one fine day, maybe the happiest for him, the Panther of his time was made a target by the bullet of death. This knowledge hungry Panther, as he was well known, spread the wisdom of Dr. Ambedkar and took the path of Buddha to eradicate the caste system that lived in the mind of the crowd. This legend left his body while he was discussing his regular talks with a few people, while his heart could not contain the happiness of winning the state level award for the best poet and gave a big stroke to each member of the family. A man who lived to his word, brought every politician of the state to his newly build home. He took his last journey covered in the Tricolor with over a 1km long procession behind him to the Ghat. A man who made his life an example, who moved his readers and listeners to tears with his blood stained and thorn studded poetry. A man worthy of honor, died a death encompassing his life. Such is the play of death. Witnessing a number of deaths, the phenomenon has far less effect on me, but it never fails to move me to work towards my own life. The days are numbered, and the life is short, I wish to attain the horizon where my dreams flow. To build up a vessel where people can come and satisfy their thirst, find peace. Life is meant to be shared, death is to be owned!